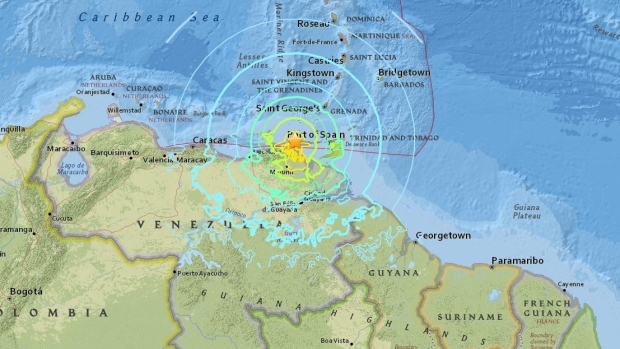 The United States Geological Survey recorded an earthquake along the coastal town of Irapa, Venezuela and tremors were felt by countries more than 400 miles (622 km). These include Guyana, Colombia and Trinidad and Tobago. The quake, which quickly reached 286 miles into the town of Guiria, also made its way to the capital, Caracas, where it shook hundreds of buildings, witnesses said. The population of Guiria lives in areas where structures are vulnerable to earthquake shaking, according to the USGS. The most vulnerable buildings are the types that have unreinforced brick and wood construction.